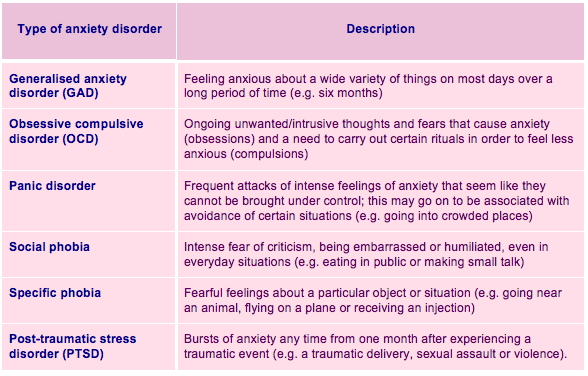 There are a number of different types of anxiety disorders that can occur following the birth of your baby (see below). The range of different types of anxiety disorders can be safely and effectively treated. It is recommended that you seek help for anxiety early – so that you can identify and ‘nip it in the bud’, rather than wait until any worrying thoughts and feelings start to take over.